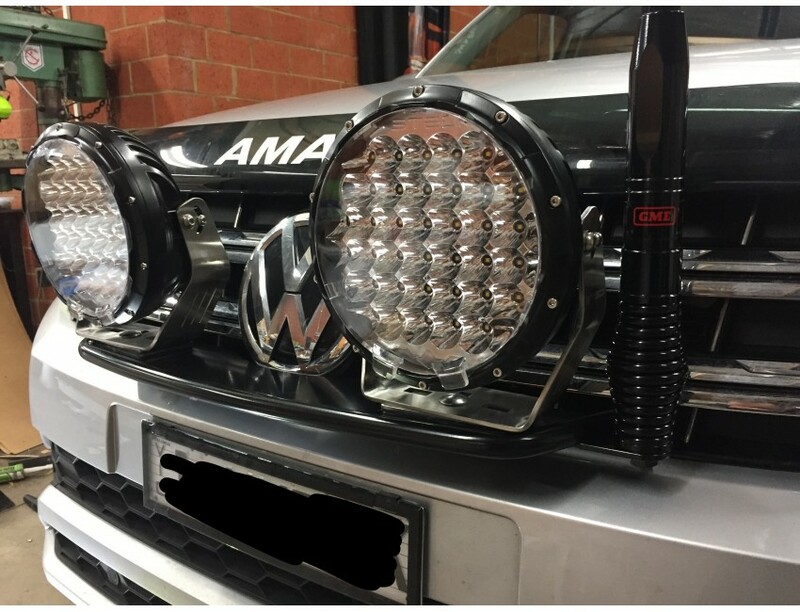 Designed to compliment the front of the Amarok, following the curves of the bumper and grille, it has also been designed to minimize disruption of air flow, our spotlight mount is one good looking, strong spotlight mount. Tough enough that it can take the weight of a small adult. The main bracket mounts behind the grill to existing bracing, no drilling or cutting required to bracing or the grill. 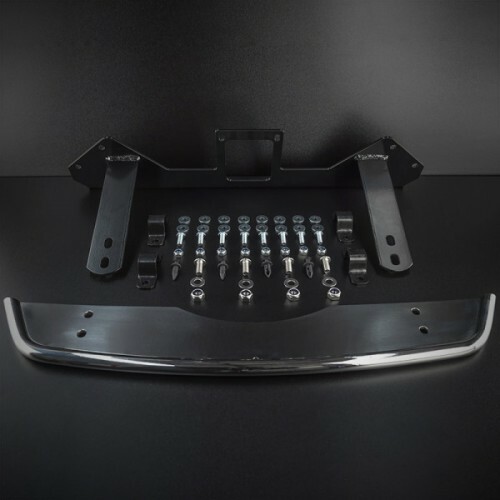 2 mounting arms protrude through the grill to bolt the front plate too. 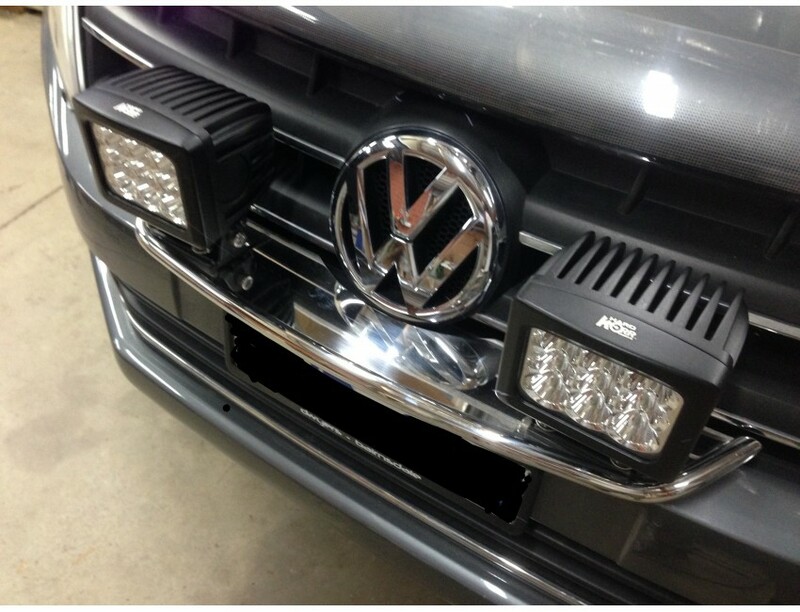 Adjustable front mounting plate to accommodate lights of various depths. 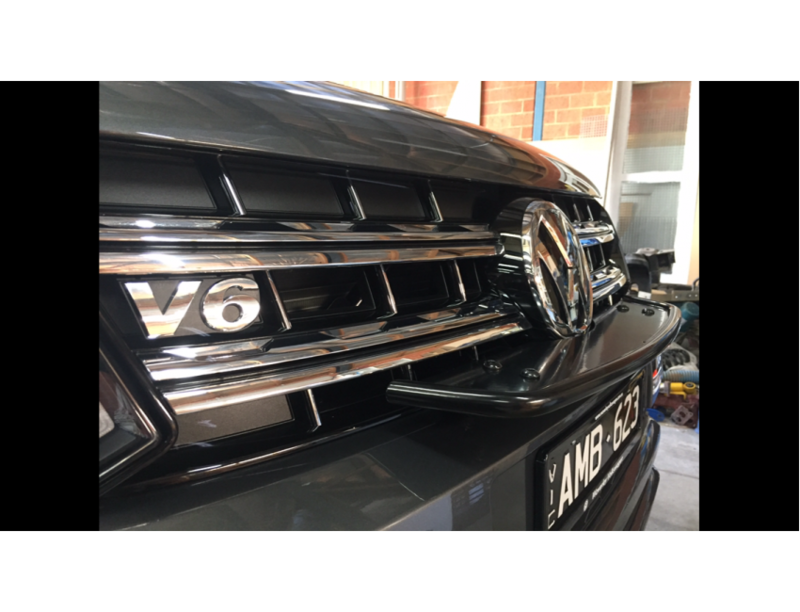 Main bracket also has the ability to mount a winch control box behind the VW emblem. Very easy DIY installation with detailed instructions & complete bolt kit. 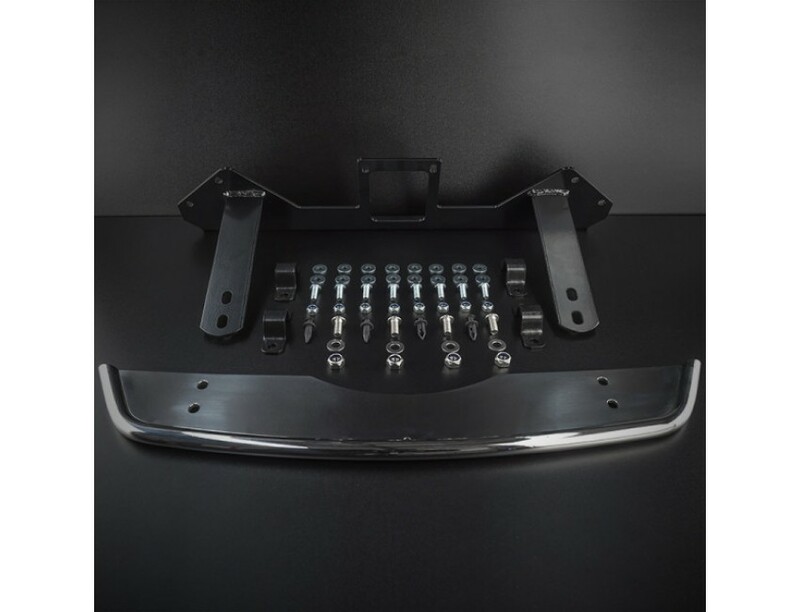 Front plate which is stainless steel is available in polished stainless or satin black powder coat finish, the spotlight mount can optionally have antenna and sand flag tags added at additional cost. If antenna tags requested please allow 2 weeks for manufacturing.